The longest carnival in the world! It extends over several weeks, January to March, Saturdays and Sundays mostly. The festivities take place in a custom dating from the fifteenth century. At this time, millers threw flour and sweets to celebrate the passing surrender charges at the Monastery of Prouille, Mardi Gras. Your campsite is about 40 km of Limoux. On a unchanging rate: 11 hours, 17 hours, 22 hours, Saturday and Sunday, the bandas play music typical of Limoux on the Place de la Republique for dancers Fecos, typical local dance. An output is around five cafes lining the square three times. 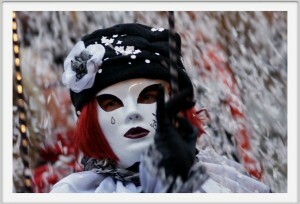 The bands are accompanied by Goudils, masked people who follow bands without mixing with. Music is truly a local product whose repertoire includes over one hundred titles. The end of the carnival is dedicated to the celebration of the famous Blanquette de Limoux Wine. After judgment in Occitan, at night they burn His Majesty Carnival singing “Adiu paure Carnival”. So let’s be crazy, go partying in Limoux!